An experience every youth entering a boarding institution carries for life. 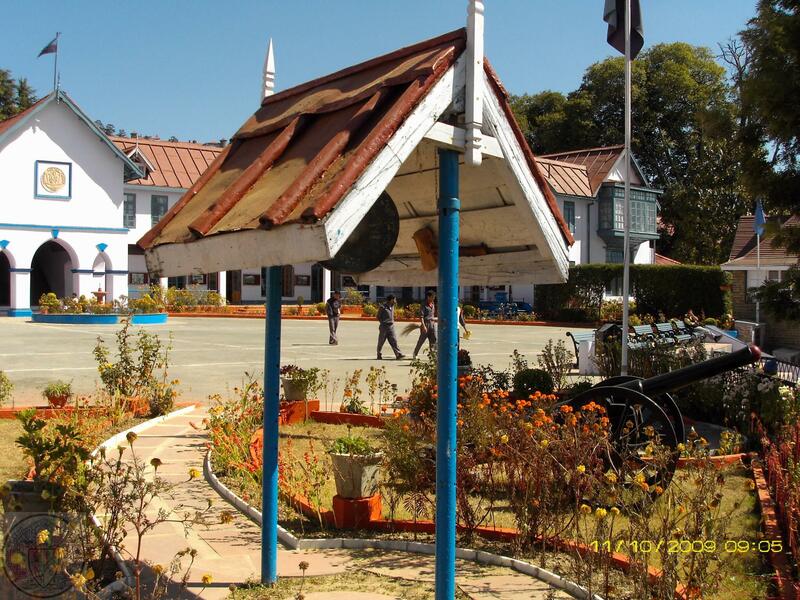 My entrance to Bishop Cotton Preparatory School, Chota Simla (1943) was alone and with tear filled trepidation. I had never slept in a warm flannel night suit in all of my 10 years. Spellbound and lonely I stood like a statute on the edge of the sports playground gazing with moistened eyes as some bigger boys kicking a football around the goal mouth against the stone wall on the opposite side. It was cold and turning to dusk and, must have been after the awful supper. Hunger soon got me used to the grub another new expression I learnt!! Often at evening time, at the very edge of the playing field facing the South Western horizon I would stand with thoughts of home. Sunsets brought on melancholy as I watched some of the most spectacular changes of sky and cloud formation and coloured hues that artists would find divine and difficult to re-produce. Adding to the beautiful panorama the four seasons gave more distinct appeal and richness. Now much later in life each time I have returned to our Dear Patina, I begin to realize how extremely fortunate we pupils were to be given an education in such enchanting surroundings. My memory has not failed to list all this and starting in Form Lower II, Mr. Fred Brown was class master. We respectfully obeyed and feared him then but I began to love and admire the dear man in later years, finally meeting him in London many, many years later. Sadly now he has joined his Maker. Our House Mistress was Miss Cunningham: over 60 years on and I am still reminded of her sensual good looks and charm. From the Main School, Headmaster Cannon Sinker’s wife, a very artistic, gentle mild and polite mannered lady would walk up hill to take classes of Scripture and Art. I excelled in both and was among her favourite pupils. 1945 After the defeat of Germany and ending the war in Europe, I was pleasantly surprised. Now in the main School, sitting in class at my school desk in Form III B, I watched a smartly dressed man in soldier’s uniform march across the First (playground) towards the Administrative Offices. A dark beret covered his head as his shiny boots crunched the gravel, all eyes near the large bay windows turned left to peak. Shortly after the school period bell rang for the morning first break. Before I could leave the classroom I was summoned to the Headmaster’s Lodge. Puzzled as to why? I made my way with mixed alarm, still unaware as to what awaited me. How very strange to meet my brother John, as well stood outside the Headmaster’s study door. Gosh! This must be serious, could we both be in trouble was my initial thought. My mind raced on random in thought as we murmured to each other when suddenly we were ushered in. Helpless with relief, shocked with delight – It was brother Wilfred the smart REME corporal, head beret off sitting in a chair chatting to ‘Bogla’, Mr. Sinker’s nick name. Yes we had won the war and my Big Brother had fought in it and he was safely back, and I was damned proud! We showed him to our dormitories and around the school and introduced him to our chums. Changes, changes as school life prepared us for what the future would bring. Or as scouts we were taught, “Be prepared, be prepared – Shout, shout Third class, Second class First Class Scout!” “Dib! Dib!” And stories we were told sitting round campfires at Consul Rock above campus among the pines and other boys spending camp life at Taradavi, on the opposite lower mountain range facing the School. Taradavi was a hillside station on the railway line up from the plains. Kalka was the railhead junction where the broad-line rail terminated at the foothills. The winding narrow gauge, steam train then pulled us up to Simla, (the summer capital of the British seat of Indian Government prior to partition). Archbishop of India, Burma and Ceylon – George Edward Lynch Cotton was the Founder of Bishop Cotton School, Simla East – we were told in 1859. He had served as the promising young master under Doctor Thomas Arnold at Rugby School, (as legend has written in Tom Brown’s Schooldays); later transferred to Marlborough College (Wiltshire). As College Head with distinction he redeemed the neglected near bankrupt Institution. This led to a royal command – Queen Victoria despatched him to India after the Mutiny on a mission of thanksgiving. With money collected from a ceremonial church service in St Pauls Cathedral Calcutta he explored the Simla hills. Aided with a grant from government initially premises were founded on a lower mountain range at Jatogh – 28th July 1859. We are told as this development gained good recognition the location became inadequate and was moved to its present site at Knollswood hilly spur near the tiny village of Patina, below Simla and Chota-Simla. In keeping with the royal consent, to my knowledge, the Viceroys were automatically patrons of my dear Alma Mater. I witnessed our Speech Days celebrations Chief Guests like Lord Wavell and Louis Mountbattern of Burma as he signed in my autograph book in green ink, and some thief robbed from me. The full School year lasted nine months, as did other boarding schools scattered along the foothills across the mighty Himalayas from Murree (now Pakistan) in the west to Darjeeling in the east. Our School stands to the south and east of Simla located 31*6’ N latitude and 77*13’ E longitude approximately 7000 feet above sea level and 60 miles by road from Kalka. The nine months – middle March to middle December was divided into three terms. Opening with the hockey season, followed by cricket and ending with boxing, football and the final year-ending examinations. More meaningful to us younger hungry souls was the December House– treats or as we called them ‘JHUG-DAY CHEWS’ held in our dormitories. Catered and brought in from Simla delicious Indian curries, rices, chapatis and fare. Finally next night senior boys would stage their own productions, in the Irwin Hall. Poetry, songs, plays and short sketches, sometimes ridiculous observations of School life and masters’ eccentric behaviour to a riotous audience. Three more sporting events, due to a shorter duration I cannot remember when they exactly fitted in, were the marathon during the monsoons and the swimming finals as well. I think the athletic Sports Day was held just after the monsoons finished. The Indian Monsoon blown in from the Arabian Sea and Indian Ocean usually reached after the middle of June, sometimes late, but never earlier. It started with thunder and flashing lightening of every description drenching the hilly pine-forest ranges till late September and early October. I also recall our Founder’s Speech Day and Prize Giving fell on the Saturday nearest the 28th July. This was usually well attended by parents and visitors. The chief guest was the incumbent Viceroy or Governor General in this case Mountbatten (1947). After the dignitaries arrived to a formal welcome by the Headmaster, Teaching staff and us boys, they were seated and we were stood in rows placed in front of the main building for the annual School photograph. These heads of government official residence was Viceregal Lodge, Summer Hill across the valley to the west of Simla. Then followed a high tea before we were all ushered into the Irwin Hall. I was also a Treble (terrible) and later an Alto in the School Choir. I missed being with my brother John in the Special Messiah Choir that recorded for All India Radio singing specially Handle’s Alleluia Chorus at Christmas time. Bishop Cotton School was often referred to as Eton of the East, many attributes written in Indian National and International newspapers and magazines. We have a very proud and unique heritage and have celebrated the 150th Founder’s Year in 2009. Among the students past were many young princes from the small Indian Principalities, sons of Indian chiefdoms and dignitaries and boys whose fathers served in the armed forces and all other walks of life. We had boys from China, Tibet, Bhutan, Assam and Burma and the Far East and East African Territories and from the British Isles. We had one or two American boys and from France, Italy, Switzerland and Germany. From this august centre came forth some very renowned persona scattered even now all over the globe. Many in the roll of honour gave the ultimate sacrifice in both World Wars. I was a very average pupil, only remembering a combination of statistics. I failed my Junior Cambridge certificate (’47). Played in the Colts Cricket Team, taking five wickets against Sanawar (’46). DLT! Mr. Thompson was my Housemaster (Lefroy), Coach in cricket and taught us Art and Geography in which I excelled with his encouragement. DLT himself was an Old Cottonian and was Captain of School in 1937. 1947 I had been moved up from Lefroy House B dormitory to A. AC Chopra was my classmate and best friend and he really taught me to play Ping-Pong (table tennis). Practice under his tutorship I competed and was closely defeated against my House Captain Fred Plunkett in house tournament. ACC’s father was a doctor in Calcutta. Sadly we never got to meet after leaving school. He joined the Indian Navy and became a ship’s Captain and I had heard he met an untimely death on a street in Bombay. The School followed the same English tradition and about the same period, dividing the pupils into four schoolhouses – RIVAZ (Cambridge blue), Ibbetson (Oxford blue): these two were our School Colours – Lefroy (Leaf green- my house) and Curzon (red). During my years in Main School we had roughly a total of 260 to 280 borders with about 8 to 10 day scholars. The classes ran from Form lllA&B, 1V Form, Remove, Shell (Junior Cambridge), V Form, V1 Form (Senior Cambridge) Upper V1 (Preparation for college). The school was run by 11 School Prefects (one as School Captain) and helped by senior House Prefects. This was a good sound regime overseer smoothly by the four House Masters and Senior Master and then finally the Headmaster. Discipline was keenly followed and any misbehaviour was swiftly dealt with in order of seriousness. Minor cases were monitored at house prefect level – punished with writing lines, detention or menial jobs. Fetching balls from the khudside hit or kicked over, cleaning or scrubbing staircases or polishing. Serious cases dealt by School prefect or School Captain, caning on the backside – three, four or six cuts, and oh boy did it hurt! Very serious – House or Senior Master and maybe referred onto the Headmaster, and then you were for the ‘high jumps’. School Captains were very reasonable fellows. They played a great part in the school function, connecting boys with masters and teachers. During the torrential monsoon rains the weather would sometimes be truly dreadful. We would not see the sun for weeks. Suddenly after a heavy rainstorm the skies would clear and the clouds, white and thick, would fall into the surrounding valleys and we would be treated to a miracle fantasy like sitting on top of the world – cloud nine! This was when a good School Captain exercised good relations and influence with the Headmaster to grant us a sunshine holiday. Gosh a loud cheer of desperate relief would echo round the school and at once energies went into like a domestic overdrive. We would air our bedding and clothes and shoes, cleaning off the mildew and tiding up. Massage our aching leg mussels from practising the marathon or catching up on lost time in class. The evening would soon come and we would be back to normal with Prep after supper and then bed and lights-out at 9pm. Rouser next morning was at 6:30 herald from the bell-shed; the Guntee-wallah (bell ringer and timekeeper) tapping the thick brass disc about 20” diameter, first rapid and gently slowly increasing the striking louder for a whole near minute with the final few stokes ‘dong-dong! Out of bed and on with the gym kit; a splash of water to wake you up and down for a slice of buttered bread and mug of sweet tea in the dining hall. Run down onto the main Second Flat playing field, sunshine or rain, in line with your housemates. Saturdays and Sundays we had no PT. I do recall Saturday morning dormitory inspection. Our beds neat covered with a red blanket and well tucked in. A clean towel stretched covered over the foot end with our toiletries on open display. The bed’s bottom sheet, pillowcase, dirty towel and soil underwear, cotton shirt and short-pants bundled ready for the dhobi (laundry collected from the boxroom) downstairs. The whole School attended daily morning Chapel Service after breakfast was a must. Matins Communion for senior boys, only, on Sunday mornings but Sunday Evening Song was for everyone. Yes! As the midnight hour approached that fateful August day of the year 1947 when the Imperial Raj was split asunder and the formation of INDIA and PAKISTAN as two independent nations were formed. This indubitably signalled the demise of rule and an end of colonial empire, on which the sun never set, as history had taught us, was now destined to abdicate from all responsible authority. The School’s thriving great history was dealt a mortal blow. Within a few weeks Boys, Staff and Servants whose family and connection were affiliated to the new found country across the border in the Punjab were separated and sent home- to Pakistan. Each one of us remaining underwent much sadness, for some the grief was greater, to know we were parted from our dearest chums forever. In boyish wonder, question why – completely unaware of the political forces at work, undermining the integral Indian peninsular. Even though now many of us are scattered across the globe today those cherished school days still evoke warmth and friendship, having formed School Association chapters in many countries. 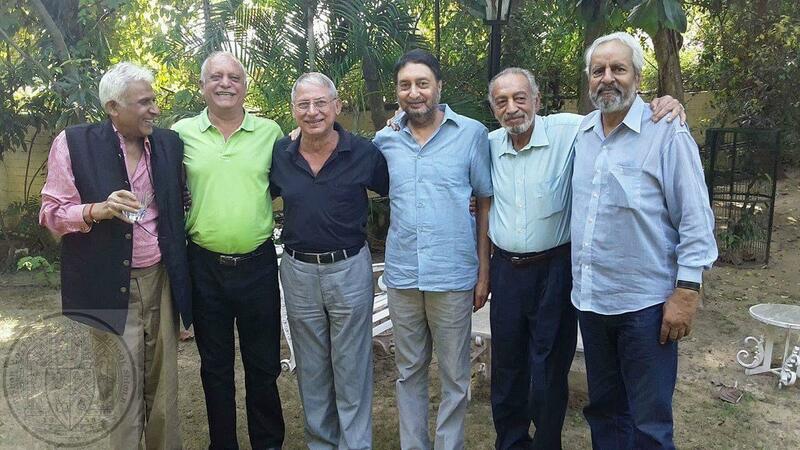 How truly amazing through this fraternity I have met six old boys from Pakistan who were removed from BCS, and to this day remain in contact. In the late evening of my own life these memories are cherished and are mindful as if of yesterday. This entry was posted in Articles, Post and tagged BCS, History, memoir, Nostalgia, Peter A Stringer on November 16, 2016 by admin.